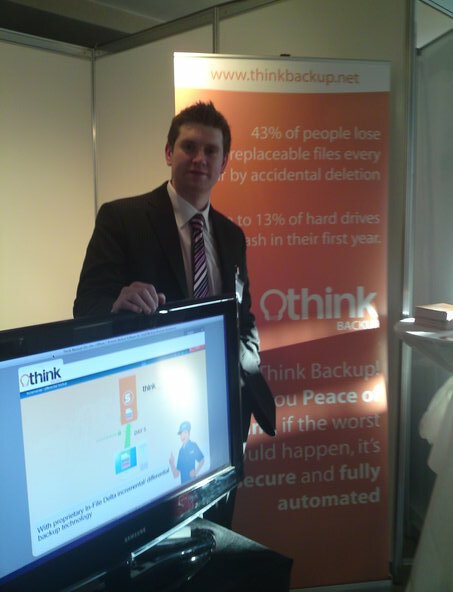 21st October 2010 - Keith Osborne, Technical Director of Think Backup! will deliver a small presentation. 2. What services do you offer community pharmacy? 3. Why should pharmacists use your services? Data loss can serious damage or destroy a business. Traditionally, performing data backup has been labour intensive. Think Backup! offers secure data backup, which happens automatically giving you complete peace of mind. 4. Give some examples of the benefits you can bring to pharmacy. In the event that a computer breaks down, is stolen or damaged in a fire, we can restore the data to another computer very quickly via the internet, allow you to get up and running with the least downtime. 5. What do you hope to talk about on the evening? How easy the system is to use. Costs and ordering.